Played college basketball at Florida State (2001-05). Moved to Germany for the 2005-06 season, signed by Erdgas Ehingen, Bundesliga-2. Moved to France, signed by Etendard de Brest, Pro-B. Signed for the 2007-08 season by Besancon Basket, Pro-B. On January'09 moved to Cyprus, signed by Achilleas Kaimakliou. On April'09 back to France, signed by Besancon Basket. Moved to Cyprus for the 2009-10 season, signed by Achilleas Kaimakliou. Moved to Germany for the 2010-11 season, signed by MEG Goettingen. Moved to Cyprus for the 2011-12 season, signed by Apoel Limassol. In March'12 moved to Czech Republic, signed by Astrum Levice. 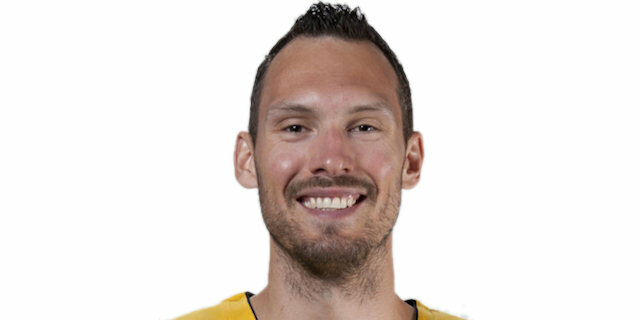 In April'12 moved to Slovakia, signed by Onyx Levice. Moved to Kosovo for the 2012-13 season, signed by Sigal Prishtina. In January'13 moved to Germany, signed by Duesseldorf Basket. Signed for the 2013-14 season by MHP Riesen Ludwigsburg.